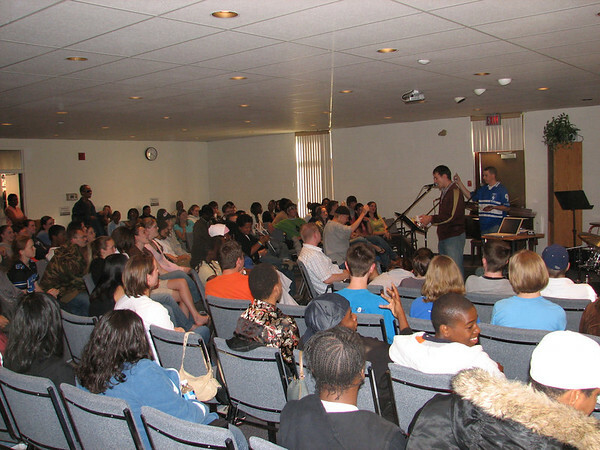 CRUX youth rallies were born out of a desire to see Christ Raised Up (C.R.U.X) in the city. These rallies are organized by various youth leaders and groups across Ontario. The ethos of ministry is making Jesus the center, while explaining him in the language of the street. Friends are encouraged to bring friends to hear and experience (CRUX = Come Read Understand Xperience) what Jesus can do for them. The rallies are outreach oriented and city-based to encourage youth to move towards the kind of places where Jesus would have lived. The lonely places. The places with bad reputations, like Nazareth. CRUX ralies are held every few months so email me if you'd like to get on the mailing list.